As Wonder Woman might say: Holy Hera! Your favorite butch blogger is going to be a published author. It’s true. I swear on all that is flannel. My book will be a part of Weasel Press’ 2015 lineup. You can check out this small, independent publisher here. If you look hard enough, you just might learn my true identity. The book’s working title is Leaving Normal: Living in the Middle of Boy/Girl. The editing process has already begun. Hard copies are expected by early summer. I am excited and thrilled and still in that I-can’t-believe-this-is-really-happening phase. Ok, pinch me one more time. A big thanks to everyone who reads this blog and at one time or another let me know that my voice is important. This entry was posted in Books, Writing and tagged book deal, books, butch, gay, lesbian, publisher, queer, success, Wonder Woman, writers, writing. Bookmark the permalink. Ah, Feve, I knew you couldn’t resist an extra pinch. Congratulations!!!! I knew when I first started following your blog that you would do this! Well, I’m glad one of us knew it. Thanks for reading! CONGRATULATIONS! Let us know when it’s available. Certainly. I’ll be posting updates on my blog and will make a splashy announcement when it’s available. Awesome! Congrats! 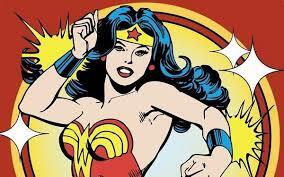 And…I’m pumped that you love wonder woman because, well….she rocks. Aw, thanks. And yes, Wonder Woman. She certainly does rock. Aw, thanks. Just think … it all started two years ago or so when I checked out this writers’ group one Tuesday morning. Congratulations! I’ve followed your blog for quite sometime. Looking forward to seeing your book in print. Thanks for reading the blog. Can’t wait to share the book. Yay!!! Let me know as soon as I can preorder! I will keep y’all updated. Look for a big announcement this summer. I checked out Weasel Press, it looks like they have an interesting mix of books in their catalog. Thanks. Yes, it is quite a mix of books. I thought I’d find a publisher specializing in LGBT books, so Weasel Press was a nice surprise. Woot! Woot! Cheering you on! Excited and thrilled for you! Aw, thanks. It means the world that everyone is so excited for me. I think I’ve used an exclamation point or two myself. And it is my least favorite punctuation mark. Thanks for the cyber celebration. And your support. You guys have all been such a big part of this. Go, me, indeed. Thanks for sharing in the excitement. Many congrats!! Look forward to its release! Hey, thanks. Thanks for all of your support … here and on Twitter. It’s much appreciated. That’s so exciting – congrats! Thank you! And thanks for sharing in all of the excitement. You know it. So very chill.